There are over 3,000 colleges and universities in the United States. Centenary College of Louisiana is the 43rd oldest. It was founded in 1825 by the State in the last days of the 5th president of the U.S. – James Monroe. Known then as the College of Louisiana, it was located in the village of Jackson. The students were primarily the sons of planters and professional men. The whole operation was mostly male -– students, faculty, administration, and staff. Tuition was $50 per year. Room, board, and firewood were $7 per month. Then, as now, the College was a liberal arts institution, concentrating on studies such as language, philosophy, history, literature, and abstract science. There was a stiff curriculum with an emphasis on Latin and Greek. 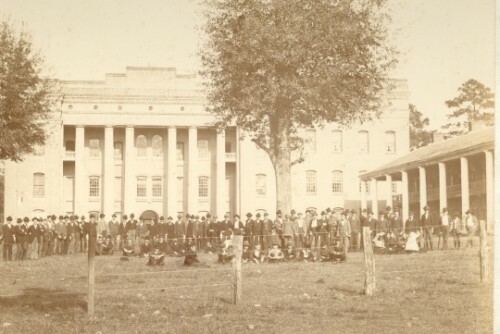 Before 1845, the College of Louisiana had established itself as one of the leading educational institutions in the country, rivaling even Harvard’s enrollment, as nearly 300 students showed up for some sessions. But its location off the beaten track and the State’s failure to support it financially led to its merger with Centenary College, a Mississippi Methodist institution. That college was founded to celebrate the 100th Anniversary of John Wesley’s organization of the Methodist Societies of England. Centenary was suffering financially and bought the plant and buildings at Jackson and moved to the Louisiana location. The selling price was $10,000; however, the Methodist conference of Mississippi paid only $166.66, never paying the balance. The amalgamation of the two schools in 1845 under the name “Centenary College of Louisiana” proved to be a good move for both institutions. Before the Civil War, Centenary enjoyed productive years. A magnificent classroom/administration building was erected in 1846, flanked by two dorms, one of which is still standing as a museum and relic. The Civil War, in effect, dealt a mortal wound to Centenary and Jackson. The College closed during the conflict, and six of the 10 seniors were killed in battle or died of wounds and illness. The College was used as a hospital and was captured and recaptured by Union and Confederate forces. The campus itself was the scene of more than one battle. Centenary at Jackson never really recovered from the War. It hung on there till 1908, but only barely. Perhaps the best thing that can be said of those bleak postwar years in Jackson is that finally in 1895, 70 years after its founding, women were admitted to the College. In 1903, four of the 20 graduates were women. The College moved to Shreveport in 1908 through the efforts of prominent Shreveport Methodists. Then in 1921, under the leadership of President George Sexton, former minister of First Methodist Church in Shreveport, the College went into a high-powered football program subsidized by local boosters. The program was very successful. 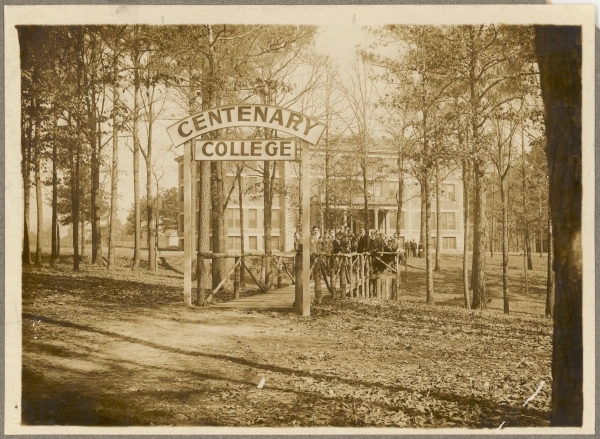 Centenary was not a very impressive campus until after World War II. Only three brick buildings – The Meadows Museum (then the Administration Building), Jackson Hall (originally a dorm, a science and classroom building, and a cafeteria), and Haynes Gym. But in 1945 with President J.J. Mickle, came a building boom. Most of the structures on campus today are the result of his vision. Today’s students have access to a wealth of technology. (Each residence hall room has two computer ports, thereby making the virtual classroom available to students 24 hours a day.) The “Information Highway” has brought the world to the Centenary campus.A common belief binds alumni together – a belief that higher education will equip one to be a better person: more informed, more productive, more contributing to the nation and to society. For 175 years Centenary has done just that. May it continue. Centenary history comes alive through yearbooks, student media, and other publications. Memories from Centenary's days in Jackson, Louisiana, are strong. 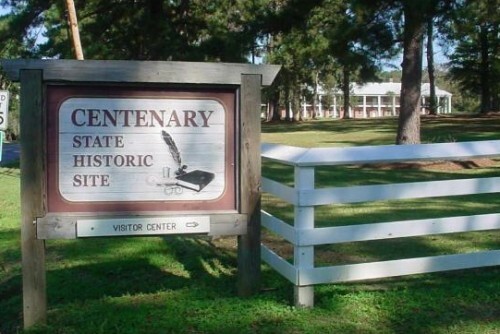 Visit the Centenary State Historic Site online and plan a visit.